 Preserving your memories and showcasing your unique personality...that's our goal at Shellie Kappelman Photography. Our studio is a wonderful place to photograph you or your family. Besides all the indoor options of a traditional professional studio, our country studio has woods, flowers and even our own beach with lots of options to make your portraits beautiful and unique. Besides photographing our clients at our studio, we love to go to the places that mean the most to them. Give us a call to reserve your session.